Hi owls! welcome to our stop on the Stuck In a Good Book Giveaway Hop hosted by Valerie over at Stuck In Books! 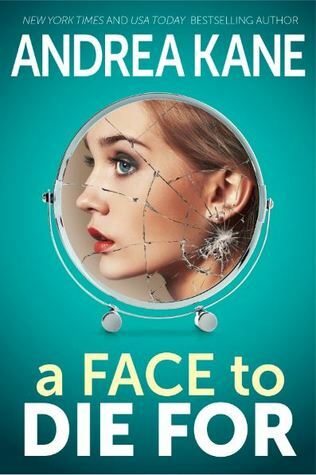 Today we are giving away a hardback copy of A Face to Die For by Andrea Kane! If you love murder mystery and a whole lot of suspense, this is for you! I can't wait to finish reading The Woman in the Window by A.J. Finn. I have a ton of holiday books I am hoping to get read during winter break! The Princess Diarist by Carrie Fisher! I'm hoping to finish Bleak House before the end of the year, so I can finish off a book challenge I'm participating in. There are a lot of books I'm looking forward to reading. I think mostly though I can't wait to pick up Roomies by Christina Lauren! I just want to finish the Murder on Fire Lake. I love Christmas break for getting some solid reading in!! Definitely The Book of Dust by Philip Pullman! Wrapped Up in You by Erin Bevan. Perfect Christmas story. I'm not sure which ones of my books I want to read the most, I have about 20 that I haven't opened yet. I just received a book of short Christmas romances by various authors I am wanting to read. I've been reading Donna Andrews' Meg Lanslow series. I want to read a good thriller.